Please stop giving me material to work with. 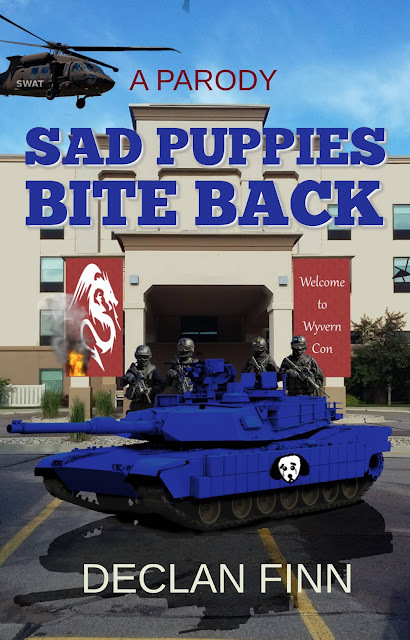 For those of you who are wondering what has happened to this blog, you're going to want to go to the tabs at the top, click "Sad Puppies" and start from there. This is a very, very long story. Apparently, this was posted at 1:09pm THAT SAME DAY (Friday). 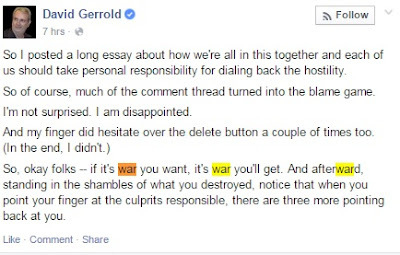 Ummm.... so, wait, neither Brad nor Larry commented on your 2am apology, you had angry people still pissed at being called neo-Nazis, and NOT EVEN 11 HOURS LATER you want to play This is War! No, seriously, David, are you brain damaged? Also, I had promised some SWATting today. A good swath of this opening was cut by Matthew Bowman, Novel Ninja, who has discovered that the characters just don't STOP talking. Welcome to the party, Matt. And now, it's time to unleash .... oh, you know by now. I hate to break it to you, but this post has been moved to a different location. Where, you might ask? So, yeah, it might be done by November. :) I've got two more *planned. * So it may end at lucky #13. We'll see.